Making Jafar’s Staff « Adafruit Industries – Makers, hackers, artists, designers and engineers! Remember Disney’s take on Aladdin? 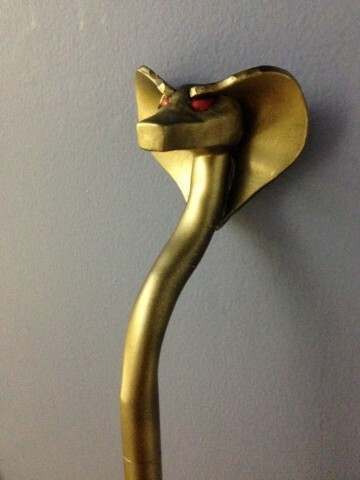 The villain Jafar wields a gold cobra staff. Instructables user DucttapeNinja likes the character, and Aladdin was one of his favorite films as a kid. He decided to make a replica of Jafar’s staff as a sort of tribute. The staff/weapon is primarily made from PVC pipes, and he also used a heat gun, polymer clay, craft foam, and paint. He used two sections of PVC pipe which ended up being easier because the top of the staff has to be heated and shaped. 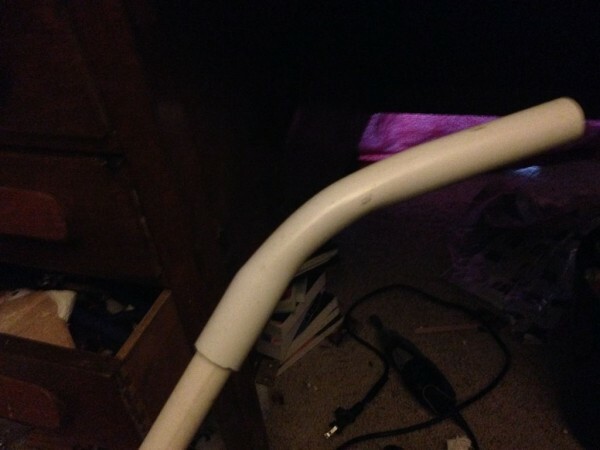 You can shape your PVC pipe by carefully heating it with your heat gun. Or fire breath, if you happen to be the most powerful sorcerer… IN THE WORLD! When the pipe is good and hot it becomes flexible enough for you to bend around. It would be a good idea to wear gloves and clamp it down while you work, placing your bare hand on a hot surface or in the path of the heat gun can be unpleasant. Once the pipe cools back down it should harden in its new shape. Shape the head section into a nice curve but leave the connection pipe straight. DucttapeNinja says building the cobra head was the hardest part. 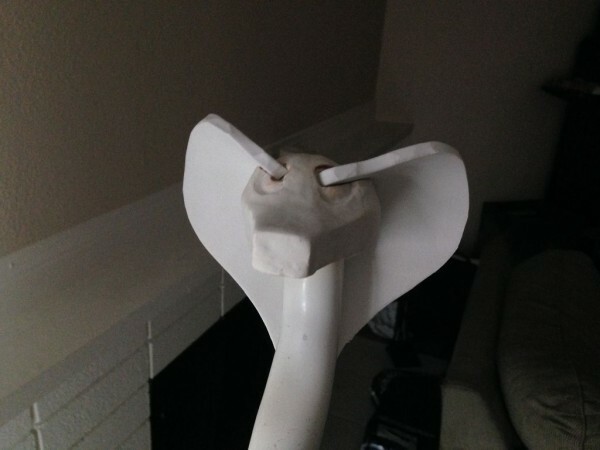 He used a coat hanger as the armature and added Sculpey clay around it to form the cobra’s head. The hooded part was cut from craft foam. Read more about the prop build at Instructables.